A clean house! It’s a lovely sight, even if only for a short moment. 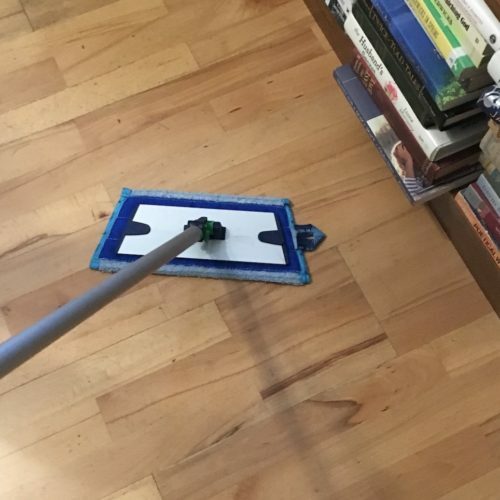 If you clean a house (or any living quarters), there are some basic things you can do to work effectively and efficiently. Work top to bottom. Start reaching up, then move down as you work through the room(s). The floor will be the last thing. This makes gravity your friend, as anything dust or dirt will work its way down as you clean. Work clean to dirty. Wipe the cleaner items first. This allows you to keep the the worst dirt off of the rag until the end, right before it goes in the laundry. You will have to rinse out your rag or sponge or whatever fewer times as you go. Restock as you go. Fill up the swab jar, the napkin holder, the extra toilet paper roll stack, etc., each time you clean the room. You may have to do this in between sometimes, but it will guarantee that you are stocked on a regular basis otherwise. Clean the floor dry to wet. Vacuum first, to pick up the big pieces of dirt. Then dry mop to wipe up the dust. Finally, the wet mop will clean the sticky stuff and everything left. This will keep your mop cleaner and keep you from pushing gravel or leaves around the floor, or stopping to pick piles of dirt up, as you mop. Build a routine. Remember, habits help. Use patterns. As you vacuum, cover sections one at a time to make sure you touch every part and keep on track without having to think about it. Find a routine and stick with it. If you clean room by room or task by task (dust whole house, then mop everywhere, etc. ), find your groove. You will get used to the flow and then sail through the routine without struggling to remember where you are and what should be next. Turn off lights when room is finished. I love to see progress, so I motivate myself by turning all the lights on at the start. (That’s necessary to see, of course, but also essential for the reward.) As I finish a room, I turn the light off on my way out. It’s a little pat on the back as the cleaning wraps up. How much time do you spend in your vehicle each day? Who shares it with you? What do you accomplish using that vehicle? Is it worth the time and effort to keep it ordered and clean? I’m going to say “Yes!” to the last question, as you might have guessed. With as much as we use it and as many people as it affects, it is worth the time — and I consider it part of my household. That said, what would be helpful to consider as we make the effort? Trash goes in a trash bag. 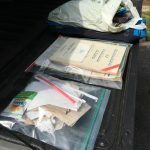 Whether it’s a nifty car accessory or the last fast food paper bag, trash needs to be accumulated in one place. One contained place. There is no need for it to be spread all over the vehicle. If your children are old enough to generate the trash by themselves, they are old enough to put it where it belongs. If you are the one unwrapping, you can make the habit and keep it neat. It sounds simple and obvious, but it makes a BIG difference. Bring it with you. If the bag needs to go in the house, the owner (whether you or your child) can bring it in the house. This is for those times when you think you’ll just get it later, but later is a separate trip and an interruption to your flow and doesn’t keep items in the place they belong and you have to find the keys and then you get sidetracked on the way… If you have a hand, go ahead and bring it with you. 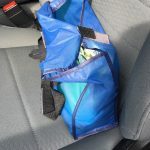 Note: groceries are usually multiple loads, and if something needs to stay in the car to go somewhere on a later trip, that is a different matter also. Contain items. There are a number of things that I keep in my truck always. So I have a tote bag that holds all those things (snacks, towel, wipes, road map, road trip dream list, hat, etc.) in one place. I can reach in and grab what I need when I need it, and stuff is not strewn about the interior. Built-in storage can be wonderful for this as well, but use it wisely. Put in what you need to keep, not what you want to ignore. Because it is out of sight, you will need to treat it like a closet and refresh/reorganize every so often. In bigger storage units, use smaller containers and label them. This will make it easier to restock and find what you need. Make a habit of cleaning. Not constantly, of course, but at some point and then repeat. It doesn’t take an unreasonable amount of time or money to vacuum (and the more often, the quicker it goes) and run through the car wash a few times a year. 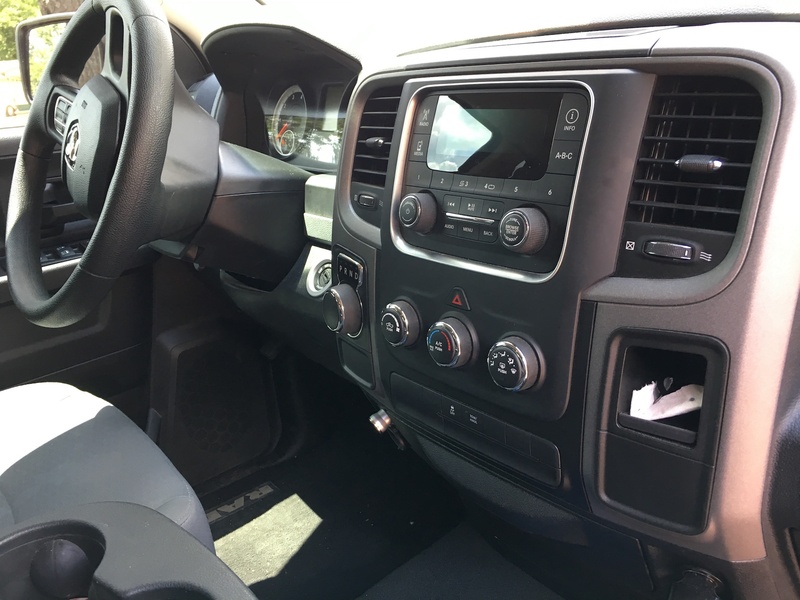 You and your riders will feel better about and in your vehicle when it is clean. Wow! All that reminds me (again) that I am long overdue for a clean-up of my trunk and under-seat storage. Now I really have to do it! I’m off — and I’ll post before and after pics, along with concrete examples, in the next blog post.